Your most beautiful paving stone and landscaping projects will be carried out by a team of professional landscapers, at your disposal, within the agreed time. Dedicated since 1986, we have been able to satisfy a vast clientele, both in the urban areas of Gatineau, Hull and Aylmer and in the surrounding countryside of Val-des-Monts, Chelsea and Cantley. 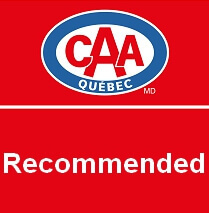 According to "CAA Quebec" we have a 95% satisfaction rate with our customers. Contact us today for a free estimate and thus realize your landscaping project.